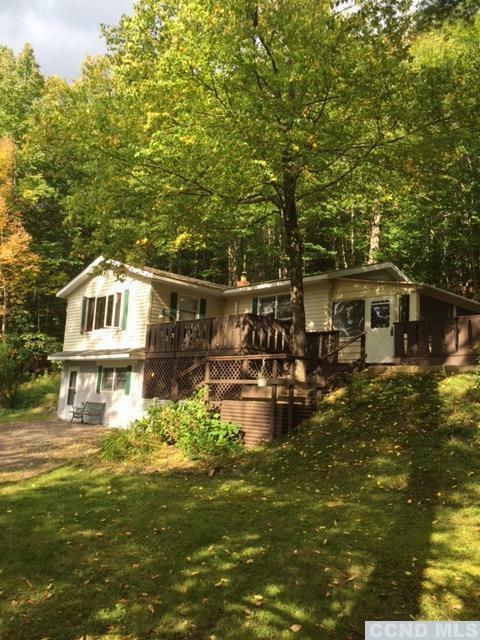 Semi-Secluded Ranch Home up the hill from Prattsville shopping & PO w/seasonal Mountain Views adjoining wooded public land. Near to Skiing, Hunting, Fishing, & Hiking. Recent improvements: Siding, Carpet, appliances, & wood stove. Large 2 Tier Deck, enclosed porch, Garage & Shed; walk out Basement.